Very few reggae producers based in the UK have been as influential as Dennis Bovell. Bovell was one of the key figures in the development of the British reggae scene, having had a huge impact as a producer, but also performed as a artist during his time in the industry. Dennis Bovell helped to bring the sound or reggae outside of Jamaica and create a phenomenal reggae scene in the UK. Born in Saint Peter, Barbados on the 22nd of May 1953, Bovell moved to the UK at age 12, settling in South London. After moving to the UK, Bovell became fully immersed in Jamaican culture, which was prevalent in the areas he was living in South London. In 1971 Bovell co founded Matumbi, a self-contained seven man strong reggae band in which he played guitar. Matumbi was one of the first self-contained reggae bands in the UK, which at the time was in sharp contrast to most Jamaican artists, except for the Wailers . Matumbi was formed at a time when British reggae bands received very little support from UK sound systems which instead focused mainly on Jamaican records. Matumbi had a very hard time at the beginning of their careers, choosing to play at clubs ruled by soundsystems, to audiences that were more interested in hearing a DJ than a live band. Matumbi opposed the use of superimposing strings on their records, which had become an important feature of the many of the early reggae crossovers released by Trojan Records. Ironically, Trojan Records released Matumbi’s satirical version of pop band Hot Chocolate’s ‘Brother Louie’ as a single in 1973. Matumbi viewed the song, as a comical afterthought which was never intended for public exposure. Instead of deserting their core reggae fan base in the UK in favour of mainstream radio, Matumbi found ways to service both sectors with the same material. 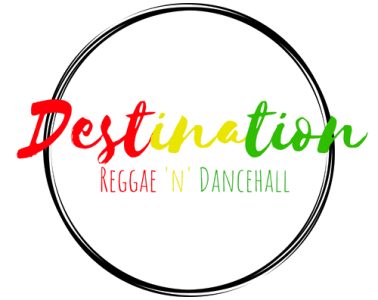 One strategy was to distinguish themselves from most Jamaican reggae acts by applying mainstream pop structures to their records without diluting the record content. With the Lovers Rock style that they often adopted being strongly commercial. Matumbi also provided exclusive dubplates to British sound systems, sometimes giving them enormous lead time ahead of the record’s actual release. Sometimes Matumbi would print no information of the records in order to counter the prejudice against reggae not recorded in Jamaica. On such example of one of their “white label” records is Matumbi’s ‘After Tonight’ which was heard as an exclusive dubplate on the extremely popular British sound system of Lloyd Coxson more than a year before it was actually released. Before going on to be a huge hit with the British reggae audience. ‘After Tonight’ was issued in 1976 on the independent Safari label, while Trojan claimed that Matumbi were still under contract. This situation was only resolved when Matumbi continued recording under a variety of names. Following a series of lineup changes, the band signed with EMI Records and scored a 1979 crossover hit single with ‘Point of View’ from their acclaimed ‘Seven Seals’ album. Matumbi would go on to split up in the early 1980s. Whilst still a part of Matumbi, Bovell had already began his career as an independent producer. Scoring an underground hit in 1977 with ‘Nyah Love’ being fellow UK reggae band Steel Pulse’s second single. Bovell tasted major success in 1979 with release of Janet Kay’s ‘Silly Games’ which went on to reach #2 on the UK pop charts. With the release of ‘Silly Games’ , Bovell realised that women constituted the majority of singles buyers in black record shops, despite the fact that reggae at the time was majorly male centred. Bovell set about targeting this demographic with reggae style love songs by female artists. This move by Bovell launched the lovers rock trend, with Bovell creating a brand identity record label with that name. While lovers rock became a trend in the UK, it didn’t fully crossover to a 1970s Jamaican market, which following a period of escalating political violence was more interested in music that reflected this uncertain time. While launching this trend Bovell still maintained his sound system credibility and furthered his reputation by issuing dub albums. By the late 1970s Bovell was also working with Linton Kwesi Johnson, a renowned dub poet. Their album collaborations delivered some of the most poignant and scathing remarks on British society, politics and imperialist history in UK reggae history. Bovell also had incredible success with the 1980 film ‘Babylon’ which also reinforced his imprint on British reggae. Bovell’s production went far beyond traditional roots reggae, with his production being featured on the 1979 debut album by the female punk group the Slits. With Bovell also producing for Fela Kuti, Bananarama, Madness and Sharon Shannon throughout his career. Bovell has also had success as a solo artist with his possibly his best work coming in 1981 with ‘Brain Damage’. A double album whose title track encompassed the multiple dimensions of his production: with deep roots flavour with dub features and some DJ toasting thrown in alongside a catchy hook. Also in 1981, Bovell was hired by Epic Records to produce reggae tracks for use on a seperate EP bundled with the ‘Escape Artist’ album by American singer-songwriter Garland Jeffreys. Bovell’s group ‘The Dub Band’ a collective of up to fifteen musicians, provided excellent backing. One of the songs ‘Miami Beach’ featured Linton Kwesi Johnson’s dub poetry narration alongside Jeffreys’ vocals. Dennis Bovell is yet another criminally underrated icon in reggae music and music in general. Bovell was one of the first producers to effect the sound of reggae music from outside of Jamaica, helping to build the UK reggae scene and popularise the incredible Lovers Rock genre which has spawned some incredible artists and incredible music. Bovell did this all alongside being a member of one of the first UK reggae bands, producing music from some of the biggest artists in the UK and fronting the legendary Dub Band. Dennis Bovell is a Reggae Icon in the truest sense and needs to start getting the respect he deserves.